I hate how many passwords my students need to access programs we use in the classroom. All passwords are stored in agendas, but a program has to be valuable in order for me to add another set of passwords and usernames to the gamut. Kahoot is the type of program worth adding to the list of programs, but it is so wonderful it doesn’t even require such things! 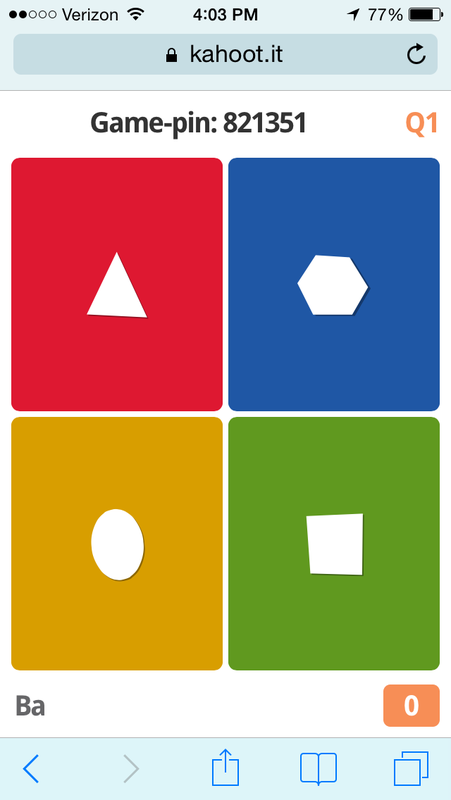 Kahoot is a program in which teachers and students can access a bank of game questions to be played online or at home. 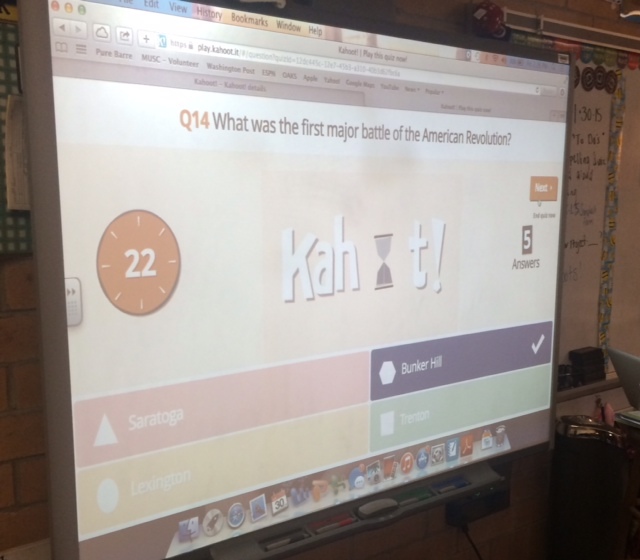 Teachers can also create their own Kahoots that focus on standards being taught in the classroom. In under one minute, students can access the program, and in under 5 you can complete an entire classroom review. When a teacher creates a game, a the url and game code is displayed on the board for students to put into their smart devices. Once a student types in the url and game code, the only other thing they need to access the game is to put in a nickname (I allow them to only use their names). Device displays a remote control that interacts with Smartboard. Next, questions are displayed on the board and student devices transform into remote controls. 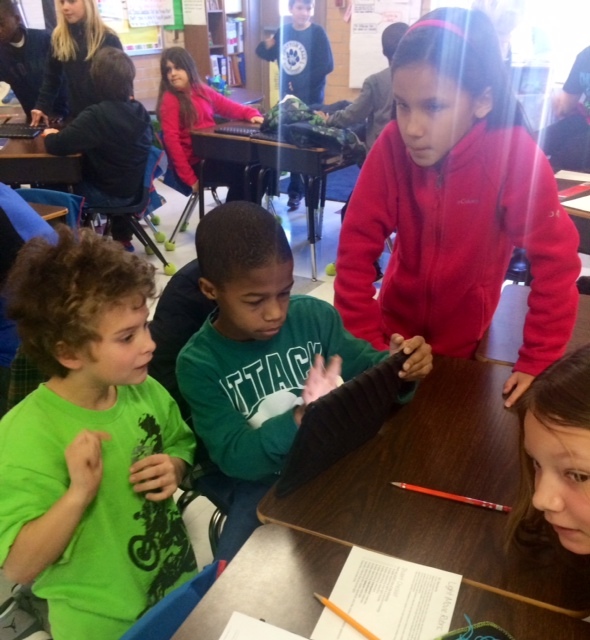 When the student answers the question on the board, their device immediately gives them feedback. 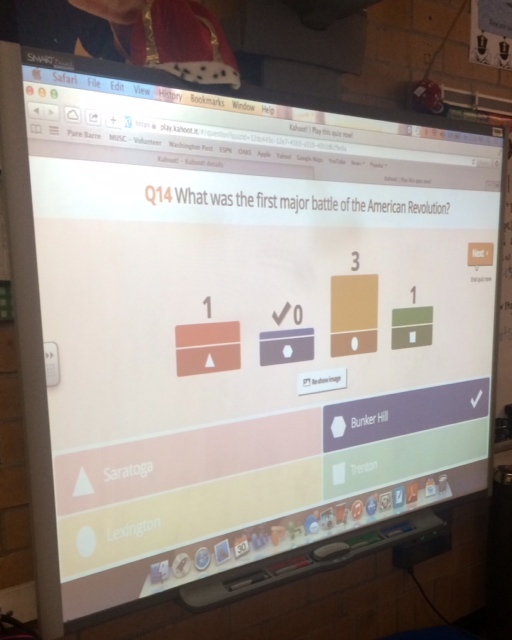 Individuals know if they got the answers correct, but the display shown to the class is a break down of all student answers and does not single out students. I highly recommend using Kahoot today!